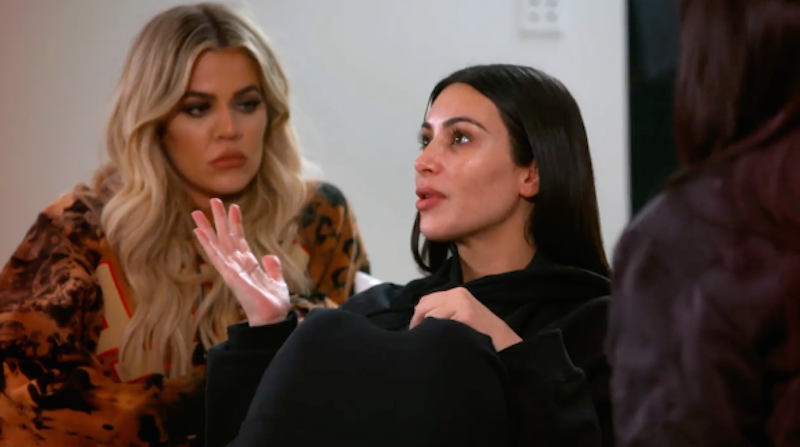 In a 30-second teaser for the upcoming season of Keeping Up With the Kardashians, Kim Kardashian is seen sobbing with her sisters while recounting the robbery in Paris that sent her into rare social media seclusion and which will be a storyline on the show as expected. There’s also a reference to Kanye West’s hospitalization as Kim, who just returned to social media this week, says, “I think he really needs me and I have to get home.” To avoid seeming too dire, the producers made sure the teaser emphasizes how much closer the family has become: “We love spending time with one another. Every laugh is louder. Every shock has impact,” say the edited voices of Khloe and Kourtney. The season premieres in March.